Looking for a fun way to spend quality time with a friend or loved one during this busy time of year? 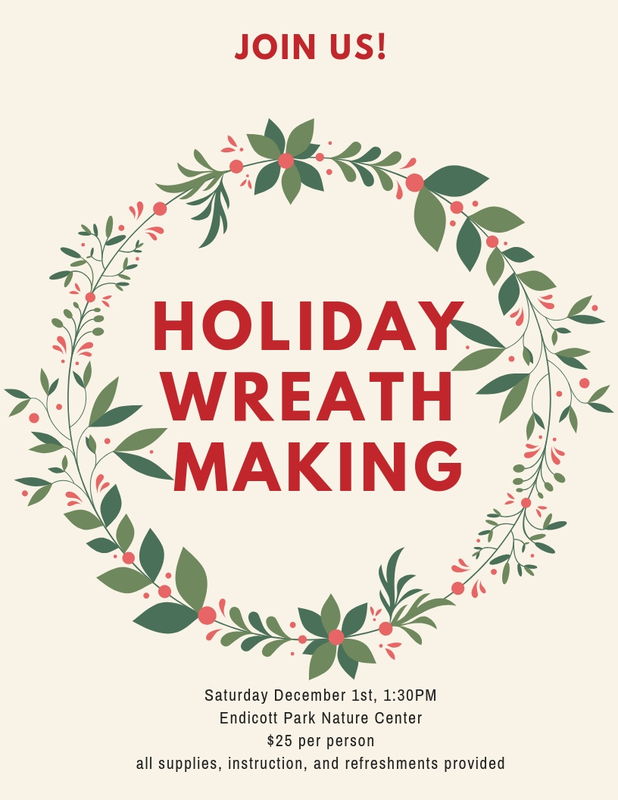 Join us for a Holiday Wreath Making Workshop on Saturday December 1st at 1:30pm in the Nature Center. Participants will use fresh cut evergreens from within the park to create holiday wreaths for their homes. Holiday tunes and refreshments will be sure to get you in the spirit! All materials provided, each participant will get to create their own wreath; $25 per person. Sign up here or call us to register you at: 978-774-6518!